It is an exciting half day sightseeing activity to visit the hidden Pandawa Beach and famous Hindu Temple that is built on the cliff bank with stunning view of Indian Ocean. The tour will completely enjoyable using our air conditioning car and led by our experienced driver who will give the best service to you. It is located in Kutuh Village (South Kuta District). In the past this beach was hidden behind the hill so it was called Secret Beach. Pandawa Beach has a stunning panorama with serene and quite atmosphere. 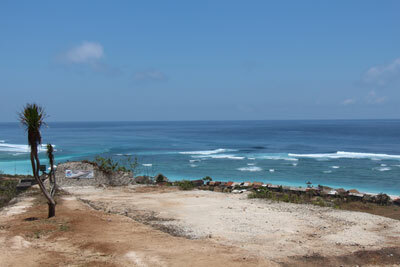 When entering the beach area, we will be amazed by beautiful panorama of high cliff, flanking the road along 1,5 km. Approaching the beach, these limestone hills are holed and carved artistically. In these holes statues of Pandawa characters from Mahabharata story are placed. 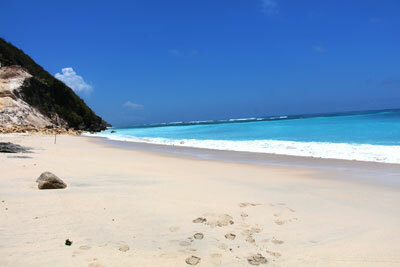 Therefore, this beach is called Pandawa Beach. 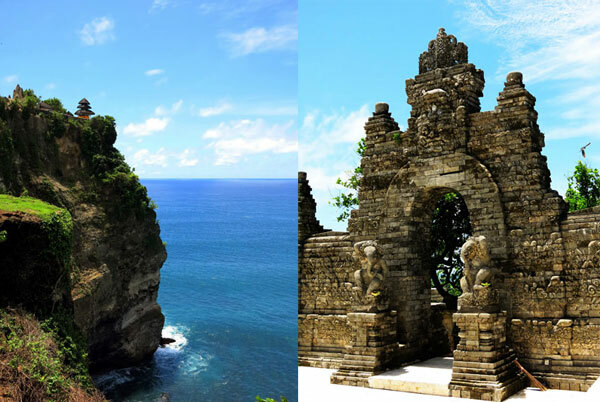 Uluwatu temple is perched on a steep cliff (it is about 80 meters high)above the Indian Ocean. The temple is built to protect the island from the evil spirits of the sea. This temple is very amazing where the location is right on the narrow Peninsula with deep sea under water it. There are also group of monkeys dwelling the small forest around the temple and they play around the temple area.